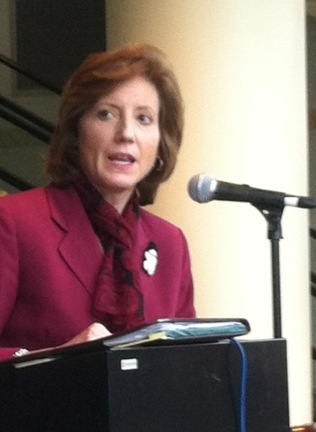 The Super Committee charged with coming up with a trillion dollars in budget recommendations has failed, and Congresswoman Vicky Hartzler says now defense spending is on the line. She says President Obama has defended those cuts as necessary for balancing the budget, and that’s not the case. She calls him irresponsible as Commander in Cheif to let the funding take a hit. She says the percentage of the budget allocated to defense spending is already the lowest its been in years, and more cuts would cripple national security. But not everyone in Congress agrees. She says she’ll be working with others to find someplace else to cut, like mandatory spending programs. She says she’ll be introducing legislation that reforms mandatory spending programs to save the country money that could be put into defense spending. Hartzler represents the areas that contain Fort Leonard Wood and Whiteman Airforce Base.